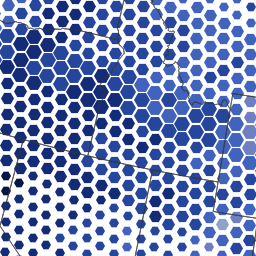 a visual communicator with a background in data science and cartography. to understand and communicate about our planet. 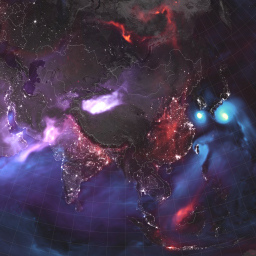 One Day of Global Aerosols: Tropical cyclones, dust storms, and fires spread tiny particles throughout the atmosphere. 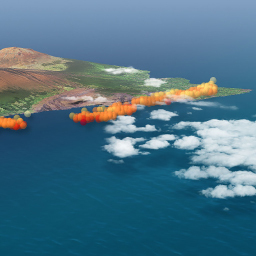 Probing Kilauea's Plume: As fissures split the ground, sulfates billowed into the Hawaiian skies. Satellites reveal their path. 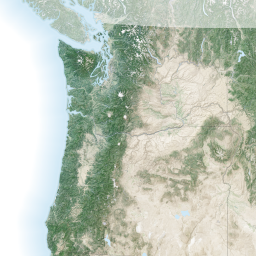 The Channeled Scablands: When a glacial dam broke during the last Ice Age, it changed the Columbian Plateau forever. 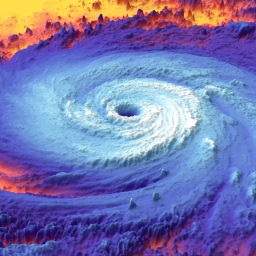 Signature of a Storm: Modeling the structure of hurricane Maria's stormy clouds. The Best Places to See the Eclipse: Analyzing seventeen years of cloud probability. 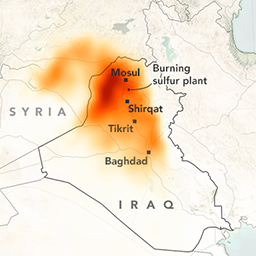 Sulfur Dioxide Spreads Over Iraq: After conflict, sulfur and carbon cloud the skies of Mosul. 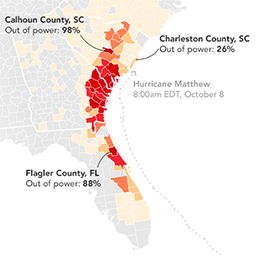 Power Outages Plague Southeast: Satellites and power companies reveal Matthew's impact.